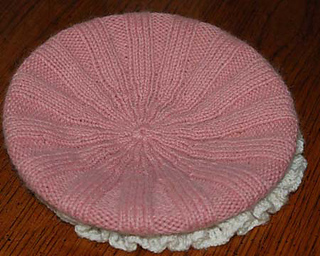 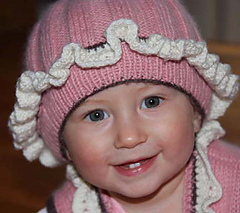 This sweet seamless and gentle hat is knitted in the round in 4x4 Rib and adorned with a little ruffle of complementing color. 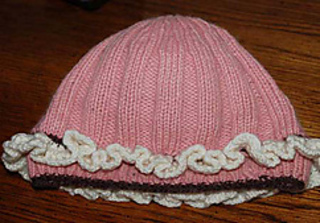 The combination of three colors used in this pattern highlights a simple yet sophisticated look of the hat that can be worn as a hat or as a beret. 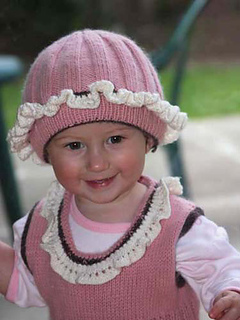 Your baby will enjoy the softness of the yarns chosen for this pattern.